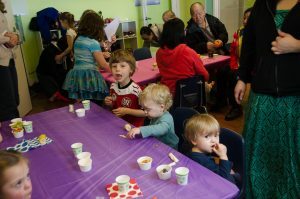 On Saturday, March 18th The Little Gym of Corvallis hosted a bonanza of an open house. Kids and parents crowded the gym. 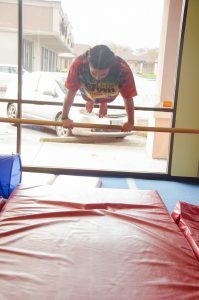 There was singing, dancing, balancing, jumping, and prizes. Kids wore themselves out moving about the gym and trying out the equipment. Once all of their energy was spent they could refuel with some healthy snacks. The Taylor family just took over them gym at the beginning of the year and the whole family is quite engaged in their little venture including 5-year-old Matson who sported his very own staff shirt! 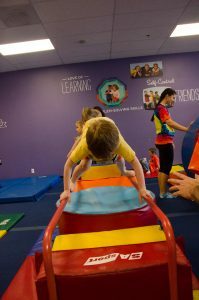 The Little Gym is a fantastic place for kiddos to learn not only balance flexibility and coordination but also character and leadership. 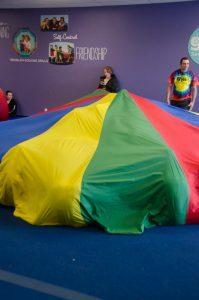 They are signing up classes for the summer and offer a variety of choices from a punch card for occasional use, summer camps, and traditional classes. 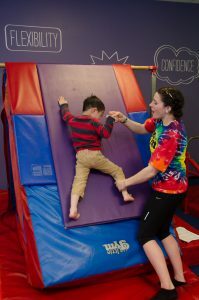 If you are wondering what to do with your little ones who are bouncing off the walls take them to the Taylors at The Little Gym and to bounce off of their walls! 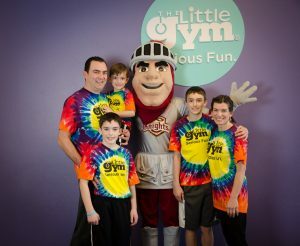 The Little Gym in located in the Circle 9 Shopping Center off of Circle and 9th. 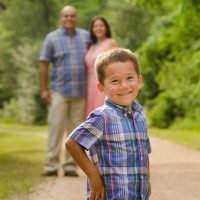 Give them a call today.